A raccoon panicked after getting its head stuck in a peanut butter jar on Long Island on Sunday. This raccoon learned the hard way not to stick its hand -- er, its head -- in the peanut butter jar. 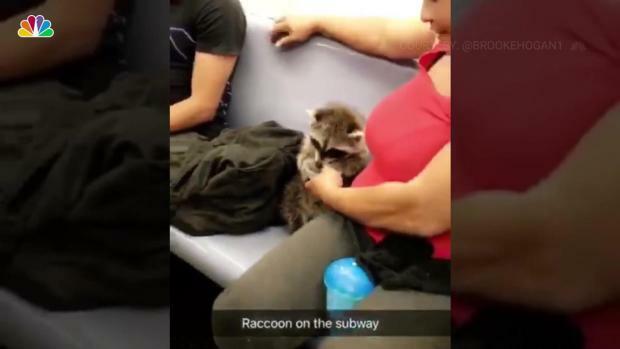 A Long Island family called police Sunday after seeing a raccoon frantically running in circles with an empty peanut butter jar over its head. The critter had apparently gotten into a recycling bin in the Farmingdale neighborhood. Police contacted licensed wild life rehabilitators Bobby Horvath and Cathy St. Pierre. Horvath told News 4 he grabbed the raccoon with a snare from behind some bushes, and St. Pierre put some olive oil on the animal's head and pulled the jar off. The animal scampered off, apparently uninjured. 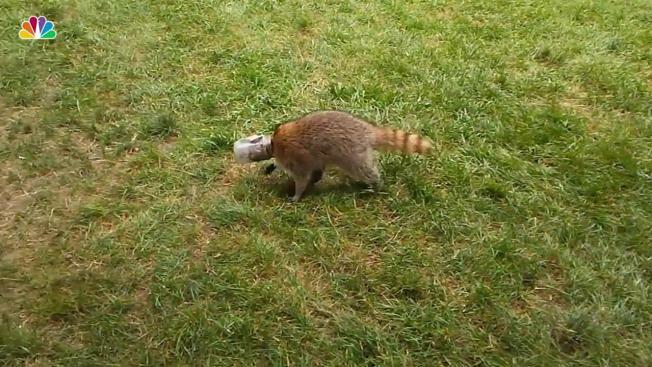 It's not the first time a raccoon got its head stuck inside a peanut butter jar on Long Island. In 2011, utility crews were called to rescue a raccoon stuck on top of a utility pole in Ronkonkoma with a peanut butter jar on its head. Local children gathered around and began calling the animal "Skippy."